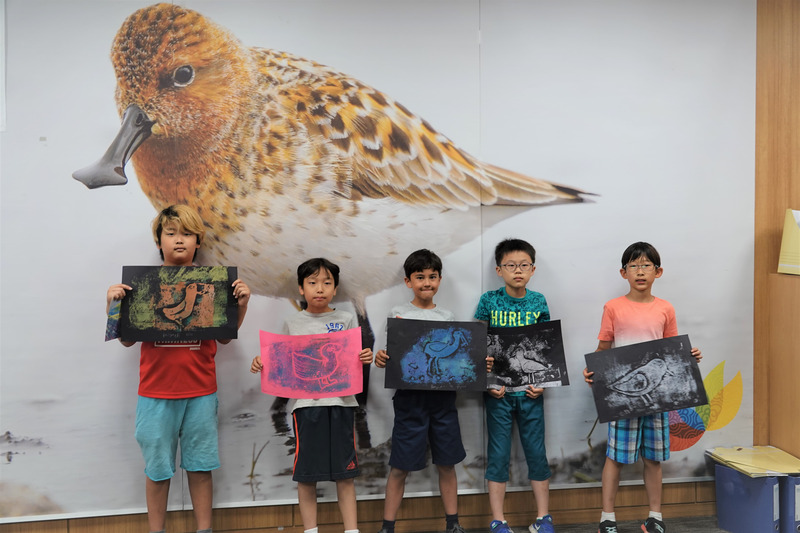 Since 2014, the EAAFP Secretariat and Chadwick International School (Incheon, Republic of Korea) have built a good relationship through organizing educational lectures on conserving migratory waterbirds and habitats for young students. The school is located in Songdo International City which is home to the EAAFP Secretariat. The former EAAFP communication officer, Ms. Tomoko Ichikawa, delivered several lectures to the Chadwick elementary school students while she was working for the Secretariat. More recently, Ms. Tomoko Ichikawa, gave a lecture to third grade students at Chadwick in March 2018. She introduced migratory waterbirds and tidal flats of the Incheon area to the students, emphasizing the ecological importance of Songdo tidal flat as one of the 2,301 internationally important wetlands (Ramsar Site) in the world, providing a habitat to various waterbird species. The participating students showed a lot of interest in not only migratory waterbirds but also all the different living creatures in the tidal flats. After the lecture, the students were invited to participate in interactive activities about the food chain of the tidal flat. Through the lecture and the interactive activities, students were able to understand why the tidal flats are so important for conservation of both migratory waterbirds and human being as well. After the lecture, more detailed information was transmitted by the Chadwick teachers to the students. After the sessions, the students created collagraph prints of various bird species assisted by their art teacher, Ms. Gigi Maiquez. These hand-made prints were sold at the Chadwick business bazaar organized later and the students were able to raise some money. 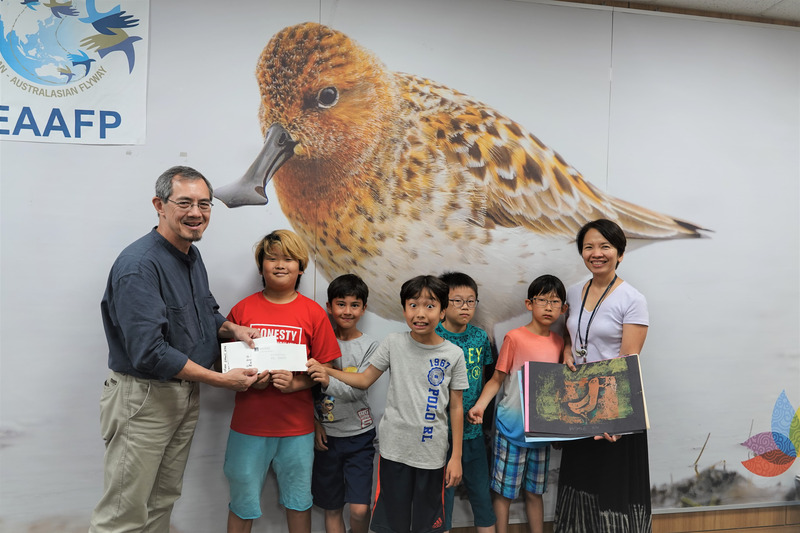 Gratefully, the students were able to donate the money raised (KRW 277,000) to the EAAFP Secretariat for supporting the EAAFP’s Spoon-billed Sandpiper Task Force for their conservation efforts. On Thursday, June 7th 2018, five 3rd grade students and Ms. Gigi Maiquez visited the EAAFP Secretariat office to present the donation. They also brought their collagraph prints as well as a hand-writing message card to the Secretariat. The message read “We, the third graders at Chadwick International hope that our small donation of KRW 277,000 will help you protect the migratory birds. We have learned to take care of our environment in our own small ways”. What lovely words!! The Secretariat staff members were touched by their message. The Secretariat truly appreciates this special donation from the Chadwick students and we hope to continue the cooperation with the Chadwick in the future. The EAAFP Secretariat is highly proud of these young students: Edward Kang, Daniel Lee, Nicholas Taylor, Connor Feitel and William Kim. More pictures of their artwork can be found on our Flickr.